Myanmar has held its first-ever international investment summit late last month in Naypyitaw. The two-day event showcased 120 projects worth US $ three billion in 10 states and regions, reports The Irrawady. On the second day of the event, the country’s investment and foreign economic relations minister U Thaung Tun hosted a dialogue for international guests, offering them reasons why they should invest in Southeast Asia’s ‘Final Best Frontier’, according to the report. Under the government’s ‘Look East’ policy, officials have toured Asia drumming up support to elevate the country’s sluggish economy. The summit was part of this attempt to raise investment from East Asian countries. More than 1,600 local and foreign delegates from 17 countries attended the summit and 40 companies exhibited. The top countries were China, Japan, Singapore and Thailand. Now the question, India has also been talking big about ‘Look East’ policy for quite sometime. The business prospects in the south-east Asia has immense benefits for these countries. Coming to the Northeast, geographical location of the north-eastern region is the most favorable location to focus on implementation of India’s Look East policy. The entire region is the gateway to the South East Asia. Therefore the development of communication infrastructure of the north-eastern region is very important so that it can be linked to the neighboring south-east Asian countries of Bangladesh Myanmar, Thailand, Malaysia, Vietnam, Bhutan and China. In this regard, major infrastructure initiative needed to connect the north-eastern region to the South East Asian neighbours. Ministry of Road Transport & Highways in the recent time has initiated/undertaken many major National Highway development Project in the region. Early completion of these projects will be much helpful towards materialization of the Look East Policy. 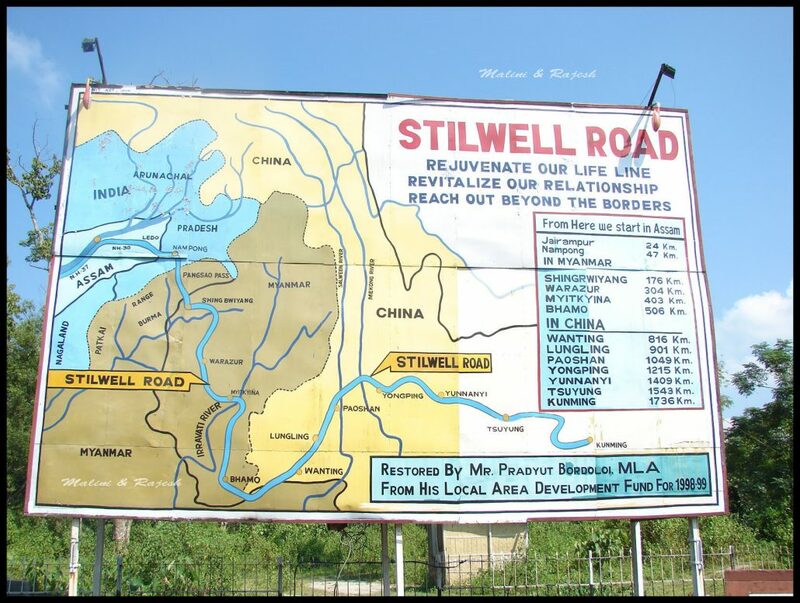 These include development of the Stillwell Road or the National Highway153. The government may also consider for development and commissioning of this road from the Northeast to China with necessary collaboration with Myanmar. The road connection to South East Asian countries is also available along ASEAN Highway network that can be accessed from the existing NH-39 and NH-36 of Assam through Dimapur-Kohima and Imphal to reach Myanmar at the Border town of Moreh. This route assumes lot of significance as it has been envisaged to connect Thailand, Laos, Vietnam Cambodia, Malaysia and Indonesia along the same highway network, according to a report.